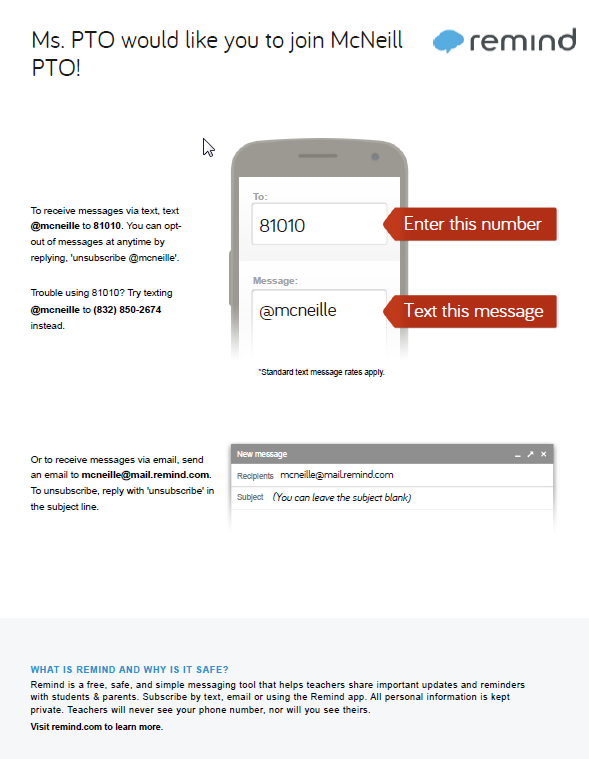 If you would like text message reminders from the PTO about PTO events, here is how you sign up. Send the text message @mcneille to the number 81010 (or 832-850-2674). You may be asked to enter your name. If you have already signed up with the school, teachers, etc. then your name may already be in the remind101 system and no name will be required. Instead, you should receive a text with the name already in the system. If you signed up for the previous school year, you must sign up again for the 2015-2016 school year!